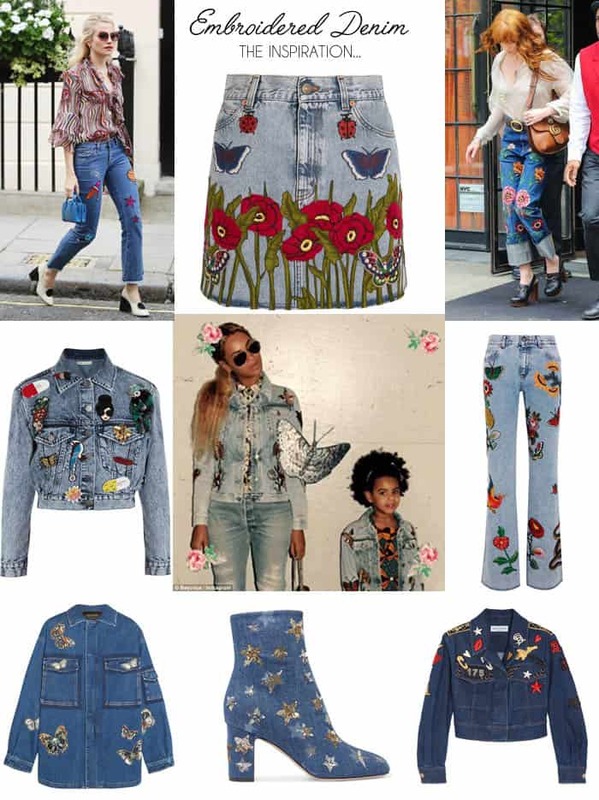 No doubt abut it, Fall’s hottest denim trend is definitely embroidery. It was all over the runways on everything from jackets to jeans to shoes and bags. Anyone who has ever tried embroidery knows that it’s very time consuming, which is why most of pieces come with 4 figure price tags. Luckily, you can DIY this trend at home- no embroidery skills necessary! Iron on- These are the easiest to use. A hot iron is placed on the patch and the glue affixed to the material. They hold up pretty well in the washing machine. Hand Sew- This is my preferred method. It’s more time consuming than the other ways but it hold up the best with multiple wears and washings. Tip- If you’re attaching patches to a denim skirt or a pair of jeans, make sure they are non-stretch. Flat Knit Garter Stitch Hat Knitting Pattern- Super Easy!